I browsed the new nonfiction shelves of my local library and came up with two cookbooks and two parenting books in under two minutes. I had to quickly walk away after that because I go on these binges and bring armloads of nonfiction home only to let it sit and sit and sit until I return it two days late. This time one recipe stuck out like a yummy thumb just waiting to be cooked. I had a beautiful small pie pumpkin from the last farmer's market and I didn't know what to do with it; no one here really likes pumpkin pie. So I thought what the hey, I'm sure they'll love pumpkin soup. Ha. I've enjoyed reading Gluten-Free Girl's blog a few times on my recent quest to explore and understand celiac disease so her name popped out at me as my neck twisted sideways at the new cookbook spines. 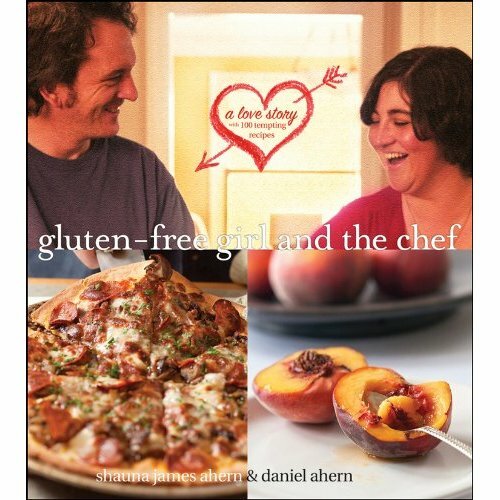 I would own this book if I were to indeed become gluten-free just for the stories splattered among the recipes. I've enjoyed understanding more about Shauna's journey and their sweet love story. How can you resist headings like; Grocery Shopping as Foreplay and Honey, remember to eat. Many of the recipes are too complicated for me or include ingredients unavailable to me in my sleepy small town but there is much more to this cookbook than just recipes. In a small section at the front Daniel explains the importance of "mise en place"-a perfect three paragraph summary of my cooking life. He describes Shauna in the beginning like this "she'd put a hot pan on the burner and then start chopping her onions with the oil getting hot in the pan. She'd run from the stove to the refrigerator while a dish was simmering, always a bit frantic." (14) That's me-most of the time. I do not set up ingredients first. I want to be that organized and now I can name it; mise en place. Daniel gently reminds the reader that is why the ingredients list tells us what to do; chop, dice, cups, tsps so it can be there ready! I feel enlightened. If you are gluten-free this book would make a great holiday gift to yourself! I made pumpkin muffins last night while I put the finishing touches on the soup and on Wednesday afternoon I had a brownie craving and made a pan of them just like my mother used to. I thought her recipe was magic when I was growing up. She admitted to me just a few years ago that she peeled that recipe from the back of the Hershey chocolate can. How deflating. I've cleaned it up a bit and made it my own. p.s. my kids disliked the soup but loved the muffins even though I told them (after the fact) that the muffins also had pumpkin in them. They didn't care. It's all about the dark chocolate! My husband, with a more discernible palate, had several bowls of soup and then, three muffins. I discovered a new foodie blog this week while searching for the above butternut and Israeli couscous recipe. Meet Peter and Keith at Feast. I scrolled through a few recipes and they all look wonderful. I hope they keep going. 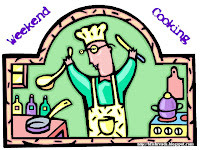 This post is linked to Weekend Cooking. Click over to Beth Fish Reads for more food-related posts. Happy eating!